The Raving Queen: Is This Bay Ridge? Or Beirut??????????????????? I am beginning to wonder that, dolls, when I awoke this morning, to hear on the news that the seven weeks of commuter hell we endured as a result of Sandy, will take place again--only this time it will last more than a year!!!!!!!!!!!!!!!!!!!!! Citing never eradicated problems in the Montague tunnel linking Brooklyn and Manhattan, it has been announced R trains will no longer run between boroughs. The only question is, I am not sure what is going to happen. There is talk of ferry service, for, I think, Brooklyn Heights residents. There is the possibility of certain R trains, during the week, going over the Manhattan Bridge, which is not a bad idea, though the commute will also be longer, as the N train goes over that, as well. And the D too, I think??????? Then they say the R will run from 95th Street in Brooklyn to Atlantic Avenue, which is not too great for folk like my beloved Monsieur, who actually works in the Metro Tech area. 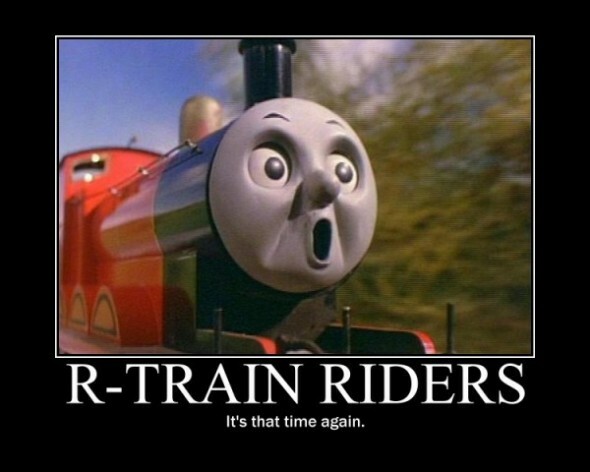 Last year, they ran the R train to there!!!!!!!!!!!!!!!!! What ever is decided, we are in for commuter hell!!!!!!!!! Remember what that first week was like??????? People scrambling in the morning to get on trains, like the immigrants rushing to Ellis Island!!!!!!!!!! And going home, that first week, was worse than going in!!!!!!!!!! Which was bad, because by then home is where one wanted to be!!!!!!!!!!!!!!!!! When I first lived in Bay Ridge, the N and the R were called the "Never" and the "Rarely." I understand the R is referred to today as the "Argh! 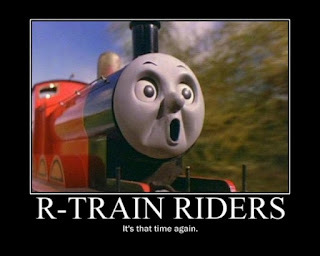 Train!!!!!!!!!" That rep might go up. This is slated to start in August. Of course, no one says when in August????????? It may be a good time for me to get that much dreamed of limo and chauffeur!!!!!!!!!!! Just like Anna Wntour!!!!!!!!!!!!!!!!!!!!!!!!! !